The Octavia has been an interesting design challenge both performance and aesthetics alike. Gone is the large center "Nub" with more weight concentrated on the outer rim. Mid weight has also been moved out to the outer rim. Aesthetically, it still share the same brutalist design as the Evora. These are changes you can really feel - the powerful spin and stability of the Octavia is really something else. It is definitely geared more towards competition performance this time around. 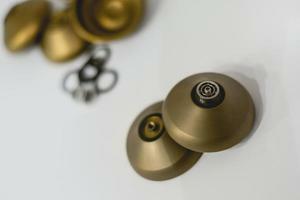 With the Octavia, the same beautiful matte Glass Dusted Anodizing returns in a new color Bronze. The finish is gorgeous - the ones who experienced this finish on the Evora know. No picture ever does this iridescent finish justice. 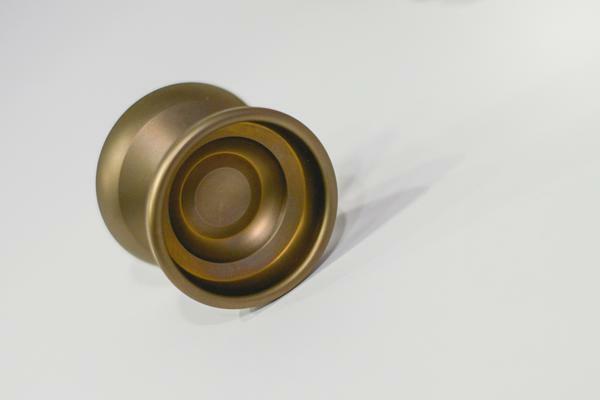 The focus on performance doesn't stop at just the design and finish of the yoyo. The Octavia now sports the legendary Japanese made Micro Platinum NSK bearing. 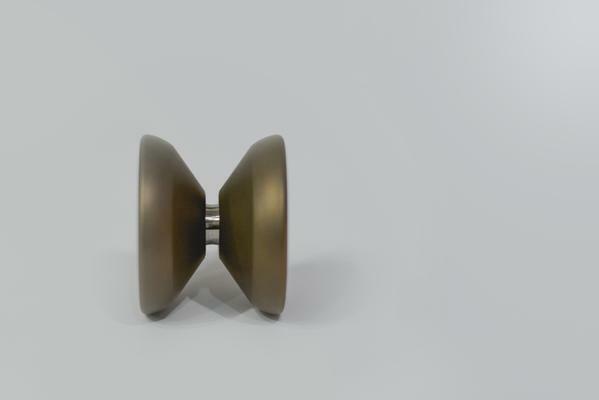 This is the bearing used by national and world champions alike - and has been chosen for its smoothness and reliability. We also partnered up with HoneyString to bring you the Adhesiveless HS Pad. These pads are unchanged from the ones Janos (from team Duncan) used to win the World Yoyo Contest in 2013. These are made in Hungary by David only via request. These have never really been sold in public before, so when he agreed I could use these for the Octavia, I was estatic. With innovative adhesiveness design and the awesome performance-to-wear ratio, it was a must have in the Octavia. Each yoyo will have a signed and numbered certificate. Nov. 17, 2017, 2:48 a.m.